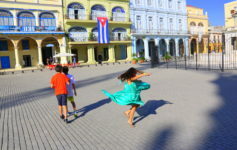 Make travel a fun learning experience for the whole family!!! We love the beach!!! Who doesn’t?!? 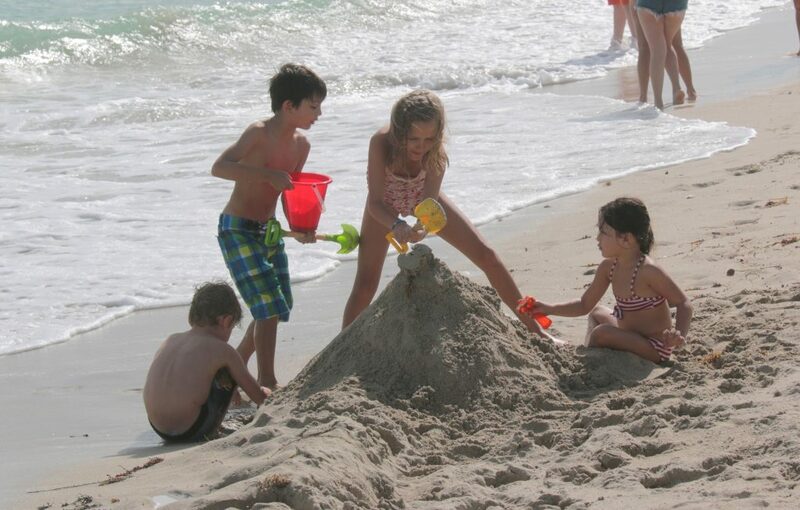 Beach vacations are perfect for the family. Perhaps the best type you can get especially if you have kids aged between 1 to 5 years – a great learning experience for the little ones and the big ones. I totally understand that some parents get too discouraged to go on vacation with the kids. It’s hard – they are energizer bunnies that run around and can’t stay focused, they’re picky with their food, but they eat anything off the ground… I mean anything… and the hardest part is that they get sick so easy. However, you can’t be a hermit – not me at least. You have 2 options – 1) leave the kids with grandparents/friends/nanny 2) have them tag along and do something fun for everyone. Believe me, it’s NOT that hard as you imagine it to be. 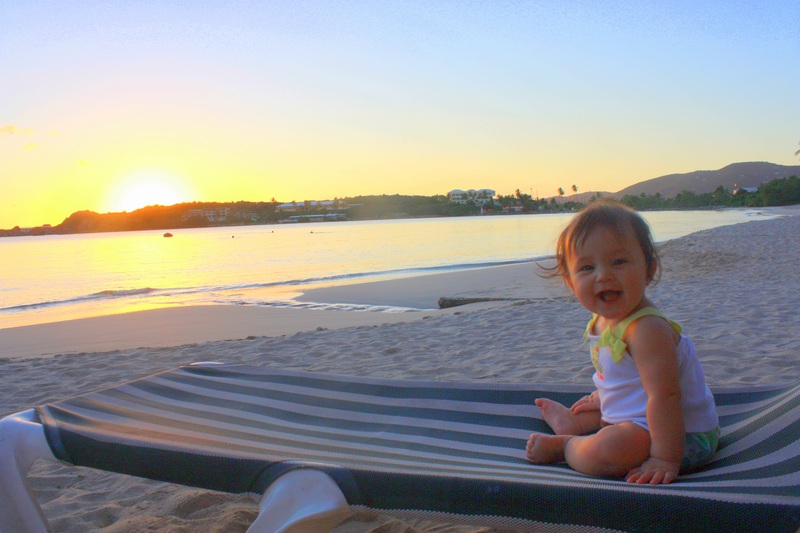 We started traveling with our kids when they were only a few months old and looking back…. I wouldn’t change a thing. 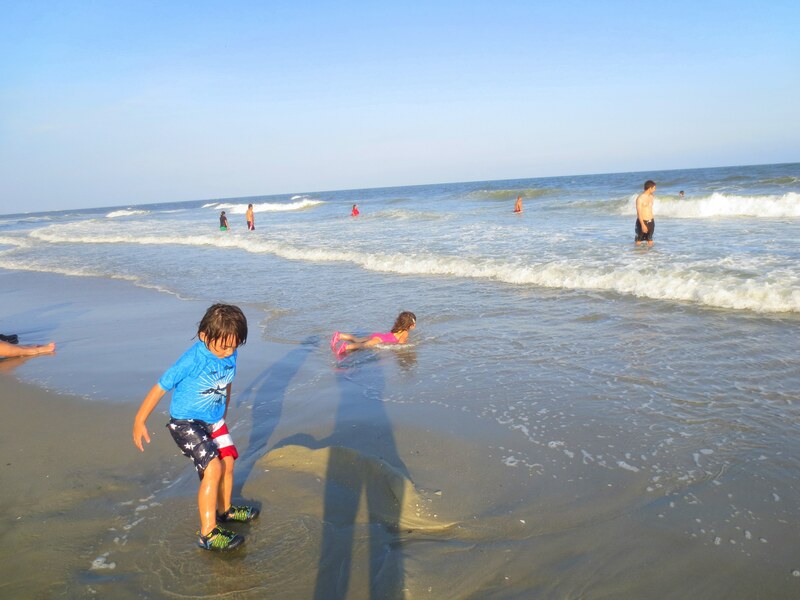 A family beach vacation is easy for novice travelers and here are few things to keep in mind. Choose a destination that you can fly non-stop – easier for everyone, including the other passengers. If you are lucky enough to have nearby nice beaches then a road trip is great; you just need to know when is the best time to go and how far along you need to book your accommodation. 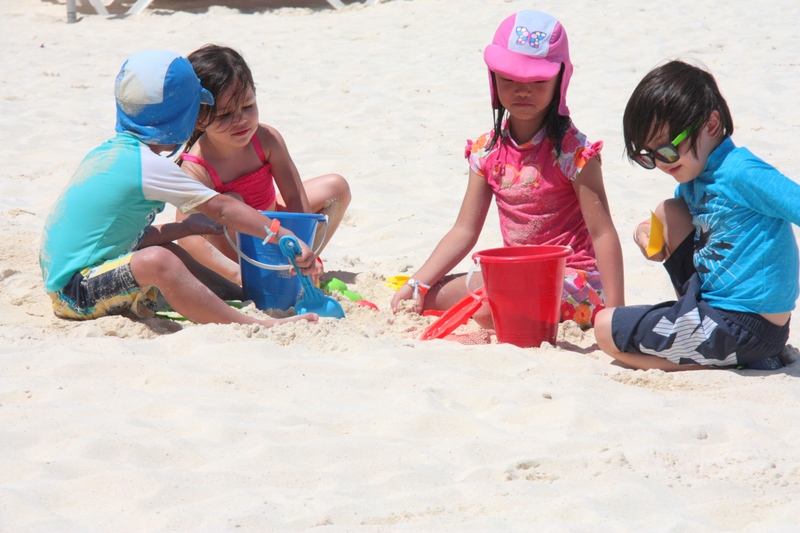 Choose a resort which has a kid’s club or offers nanny service. 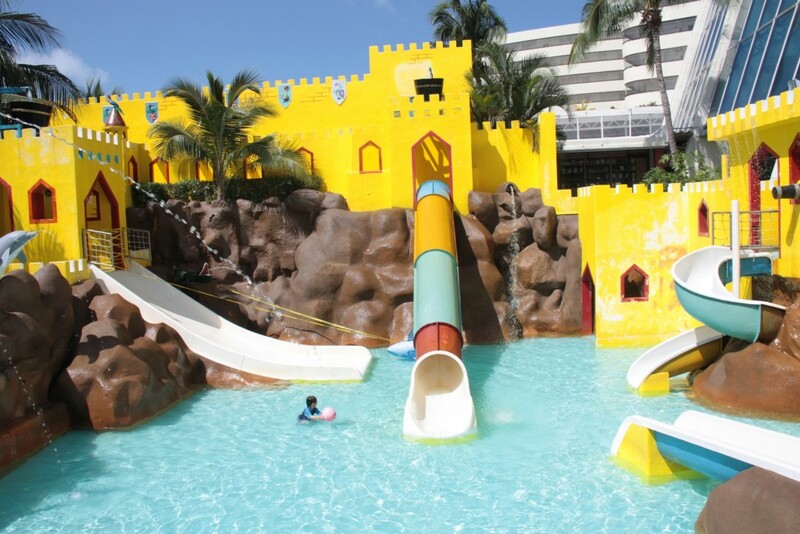 Make sure to check the kid’s club policy (most resorts do not accept kids under 4 years old or if they do, they charge $$$). Having these amenities is very helpful when you want to get some exclusive time with your partner. 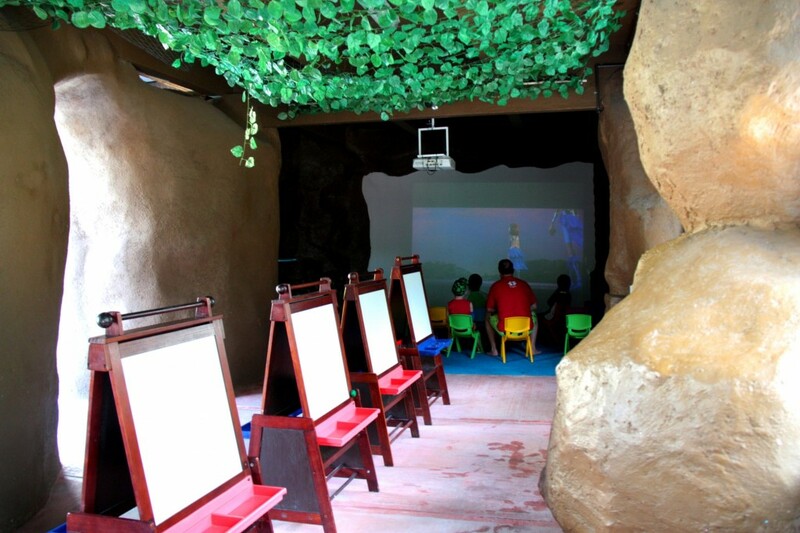 We put kids to kid’s club especially during dinner time and sometimes few hours during the day. Kid’s Club has the kid’s water park. It wasn’t that busy so my boy had the whole place by himself and few lifeguards watching him. Most importantly, simplify your travel. Choose all-inclusive resorts – they charge one rate which includes room rate, meals, and activities. Do your diligent research about the resort – check the room types and amenities, quality of service (eg. 24hr room service or a concierge), what kind of food they serve, how many restaurants they have and other special services they offer. A good travel agent will know the best family resorts so it’s worthwhile to ask help if you know one. Well… not all destinations have All-inclusive properties so if you are traveling to this kind of places then your best option is alternative accommodations example vacation rentals. They are occasionally cheaper and the fact that if offers bigger space and has a kitchen- it gives a lot of advantages to the whole family. 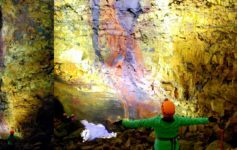 Very important aspect of planning because knowing what kind of activities you want to do during the trip will help you decide if it is worth it to bring along the kids and/or is it the right destination for your family. 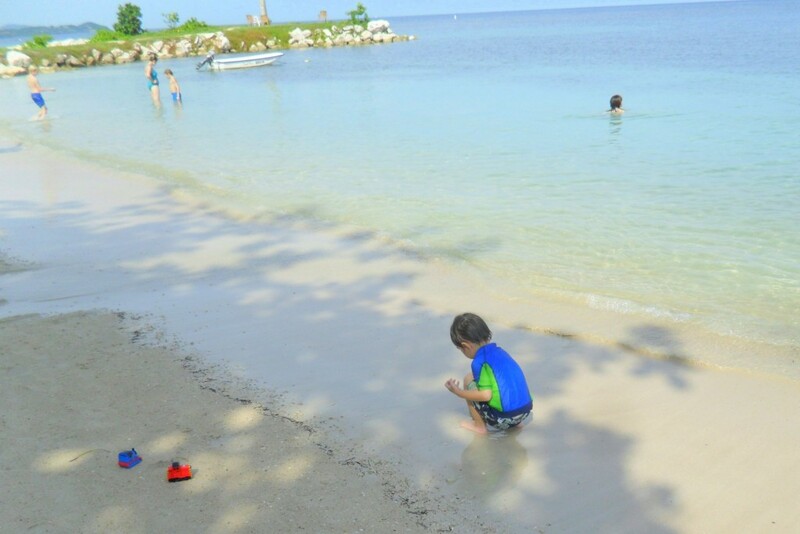 Families with young kids will definitely need a beach that has calm waters and has a lifeguard on site. Hubby, my girl and my boy having a blast!!! And they keep on making new friends and learning from them:) New friends from Norway. As a travel consultant, I always ask my clients if they need travel protection. Of course, they need to know the insurance basics: trip cancellation and interruption, medical, evacuation, baggage, and flight insurance. For me and my family, it is necessary, most especially if we travel outside the US. But to some, it is not since they think how likely it is that you need it and they think it’s a waste of money. Well… how willing are you to take the risks? So, I suggest to look at your options and make an informed decision because, at the end of the day, it is optional. There you go… I think you are ready to plan your next getaway. Family beach vacation creates long lasting memories so let’s start planning:) Summer break is coming up and there is no better time to start than today. Email me at bonbonmontero@bon-bonvoyage.com and I am more than happy to assist you and help you plan your trip. Travel. Learn. Evolve. with your family!!! Call me BonBon!!! I am here to help you with your family travel plans and to inspire you to get out of your comfort zone. GO and explore the world. Travel. Learn. Evolve. Such a great attitude! The tips are perfect, I’m forwarding this to my sister, she needs it! Beach vacations are the best. it’s hard to go wrong, but you offer some great tips. thank you! 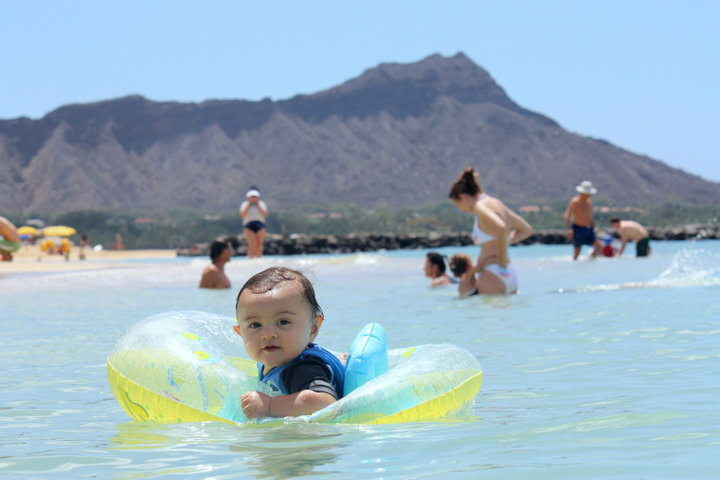 Hawaii is a great place for a baby’s first swimming experience — the water is so warm! We always traveled with our children too. I’ve found beachesto always be a safe bet. They loved playing in the sand and water, and while they were young, they weren’t hard to watch because they usually just sat and played in the sand. Once they got old enough to want to be in the waves, then I was a little more nervous! i’ve been traveling with my God Daughter since she was an infant and she’s now a world traveler. You have to get them into the travel cult while they are young. Great post! We do other vacation turns when we travel that way we have our couple time an family time. Thanks for the tips! Love the post and the pics BONBON.. makes us want to head to the beach! Thank you:) Buzz me anytime if you need any inspirations/ideas:) I can show you some promotions as well. Hope to see you soon and talk about our passion, TRAVEL!!! 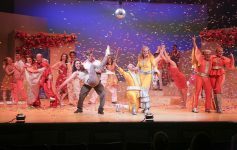 Nice read and really helpful tips. Keep it coming! I love all your travel articles. So fun and I love that you also take the kids everywhere with you. Call me BonBon... I am a mom of 2 beautiful toddlers. My family loves to discover new things near and far... So, I am here to inspire your whole family to travel, to get out of your comfort zone and to explore this wonderful world. And, I am here to help you get started:) Stay in touch!! !